What's New For The 2019 Subaru Crosstrek? With Subaru's legendary safety, handling capabilities, and sporty driving feel, the Crosstrek is a solid contender in the crossover market. And it is the answer to drivers who enjoy the off-road driving capabilities of Subaru's wagons, hatchbacks, and sedans, but ultimately need more clearance to get where they need to go. This year, the Crosstrek remains a leader in the crossover category with commendable safety features, handling, and more standard interior amenities than ever before. 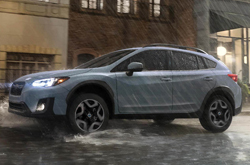 The Crosstrek was majorly redesigned in 2018, which means that there are not many changes in the 2019 model except for more updated technology features and a higher number of standard safety amenities. In 2019, Crosstrek drivers have eight color choices to make their crossover turn heads. There are three trim levels to choose from with the 2019 Crosstrek: the base model, Premium, and Limited. All are five-door vehicles that seat five passengers. 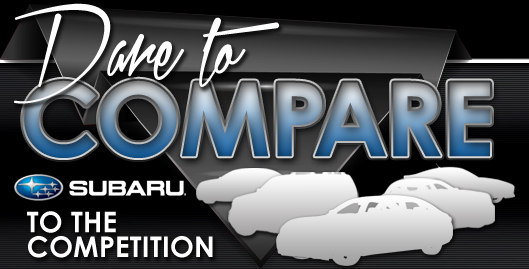 The base model, simply called the 2.0i, has sculpted headlights, roof rails, and Subaru's distinct front grille. It comes with a fine list of standard features that includes symmetrical all-wheel drive and Subaru's multimedia system with Android Auto, Apple CarPlay, Pandora, and app connectivity so that you can stay in touch and plugged in with the world wherever you go. The base model will take you on whatever challenging terrain you throw its way, thanks to a notable 8.7 inches of ground clearance and large 17-inch alloy wheels. 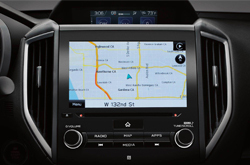 The base model is available with Subaru's sophisticated driver assistance safety package. The mid-level Premium trim has all that the base model offers plus fog lights for enhanced visibility. Inside, a leather-wrapped steering wheel and gear shifter provide a more refined and luxurious driving experience. This trim features a cargo area cover and Subaru's Starlink package that offers safety and security when you need to park in a remote location. With this trim level, you'll be able to get a power-operated moonroof if you choose. Upgrading to the top-level Limited trim, you will be treated to an interior filled with soft and comfortable leather seats. In addition to the high ground clearance, this model comes with larger 18-inch alloy wheels to take on bumps and uneven surfaces with ease. Subaru's signature driver assistance technology package is standard on this trim. LED steering-responsive front lights and blind-spot monitoring complete its notable amenities. The 2019 Crosstrek is powered by a 2.0L engine that produces up to 152 HP and 145 LB-FT of torque. The engine, like other Subaru vehicles, is paired with an all-wheel drive drivetrain in this model. 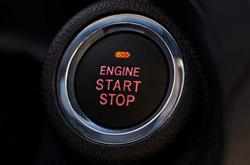 The car comes standard with a six-speed manual transmission, but you can choose to upgrade to an automatic transmission with a continuously variable transmission (CVT) technology that makes the gears shift smoothly and seamlessly. The automatic version features integrated hill descent control and an X-Mode feature that helps with low-traction driving conditions. Paddle shifters on the automatic version make it more fun to drive. Subaru is a recognized leader in safety technology, and the 2019 Crosstrek is a good example of why. The Crosstrek features the brand's industry-leading EyeSight safety technology, which is a package of amenities that help drivers maintain control and avoid accidents. Standard in all trim levels are anti-lock brakes, a rearview mirror to facilitate backing up, electronic stability control, and seven airbags throughout the cabin. There are also a number of safety features available to make the Crosstrek even safer to drive, such as adaptive cruise control, lane departure warning, lane-keep assist, and automatic emergency braking to avoid frontal collision. Headlights that follow the path of the car complete the Crosstrek's safety amenities. Does Subaru Starlink Multimedia Come Standard on the 2019 Crosstrek Hybrid?